ABS Roc, a Better Tire Insert Solution? Apparently, this is the year of the tire insert. We just got the scoop on ABS Roc, which was designed by an Italian, more precisely Alessandro Bonarroti, a Ligurian enduro rider who quite often rallies about on the rugged trails of his home region. These inserts are similar to Mr. Wolf, but much harder to the touch. 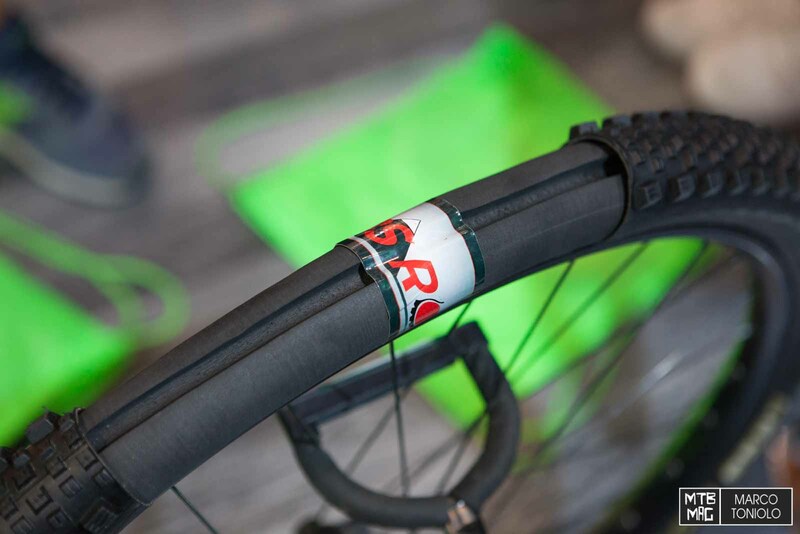 Three sizes are available for XC, Enduro and DH…Of course, if you choose to run 2.5 tires on your AM/Enduro bike, you can use the DH insert if you’d like. 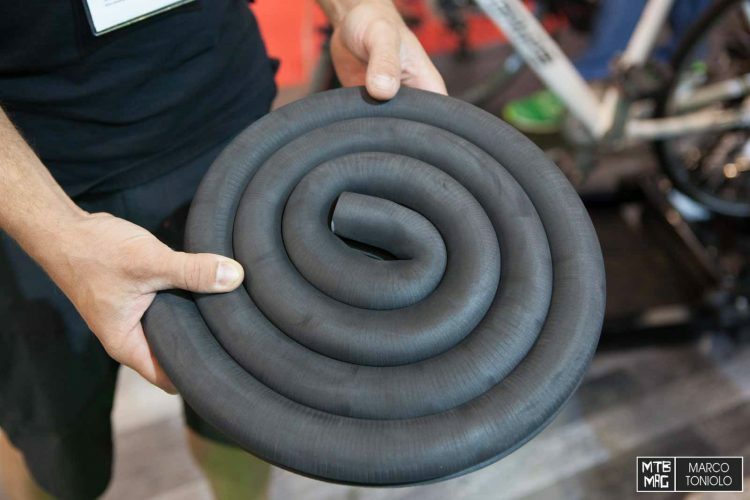 We’ve been told that tubeless is not a problem and the inserts leave room for sealant. 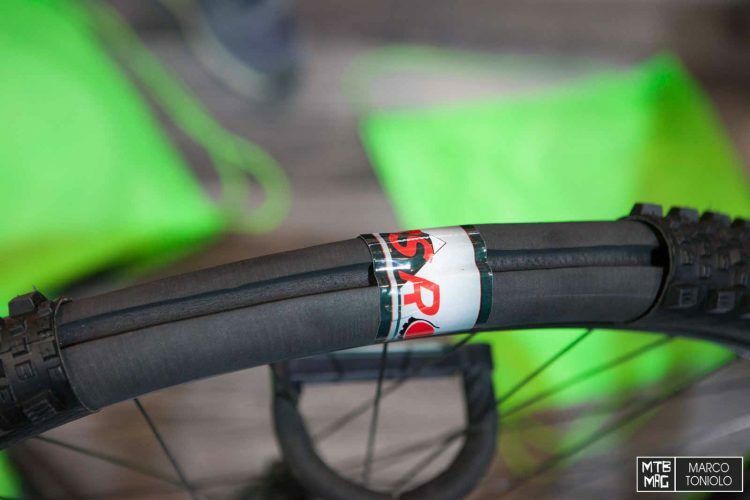 The main function is to protect from massive pinch flats and rim damage. Apparently they managed to get a run in on the Lenzerheide DH run at full speed with both tires flat. There is a bit of drift, it’s still safe to ride somewhat cautiously. The other function is to absorb vibrations while still feeling agile and reactive. 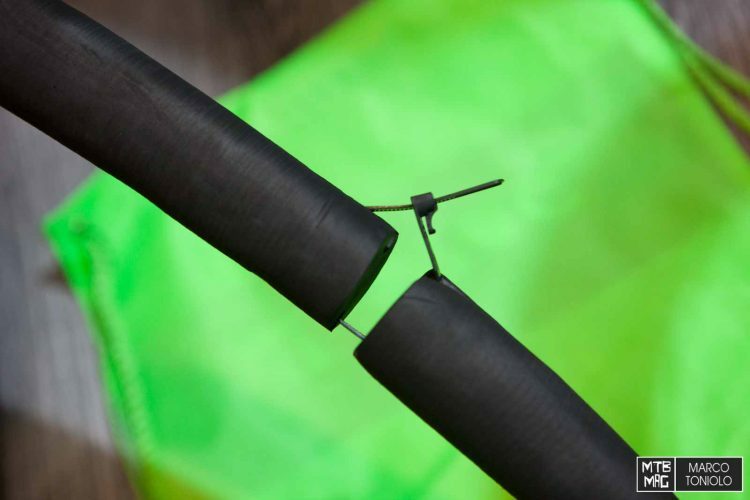 The hardness of the polymer gives it a stated life of 2000 hours for normal use, and 1 hour with a flat. 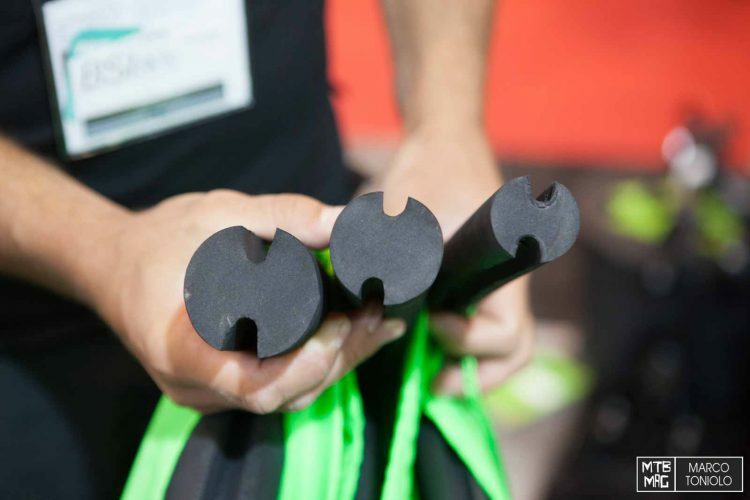 The weight is 190 grams for a 27.5″ (non-plus) ABS Roc, and for 29″ it approaches 200 grams. The price is 149 EU for 2 ABS Roc. inserts.